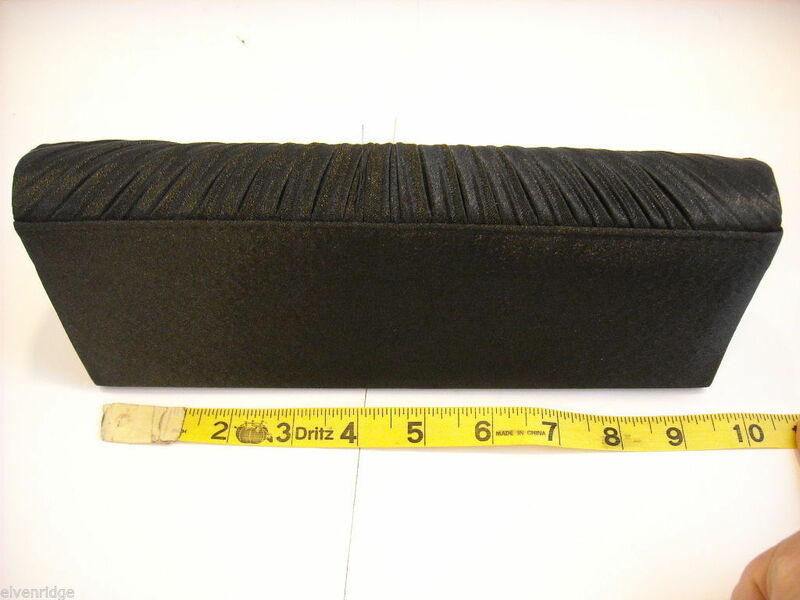 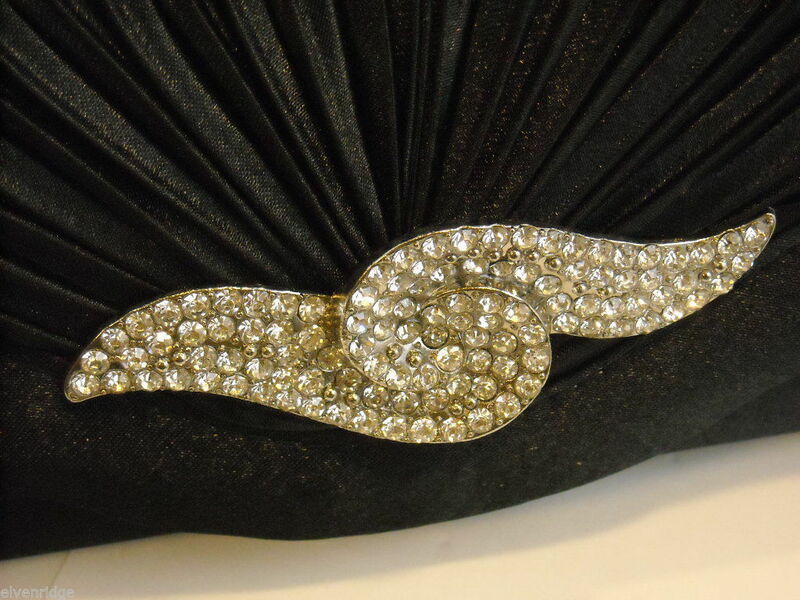 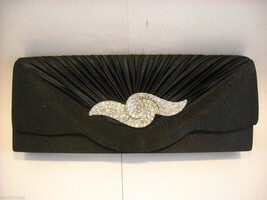 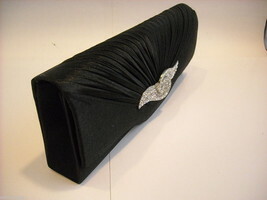 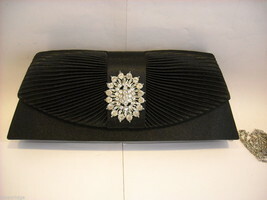 This clutch purse is a very classy and chic satin fabric gathered on the flap with a wave shaped rhinestone brooch at the front. 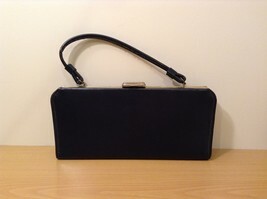 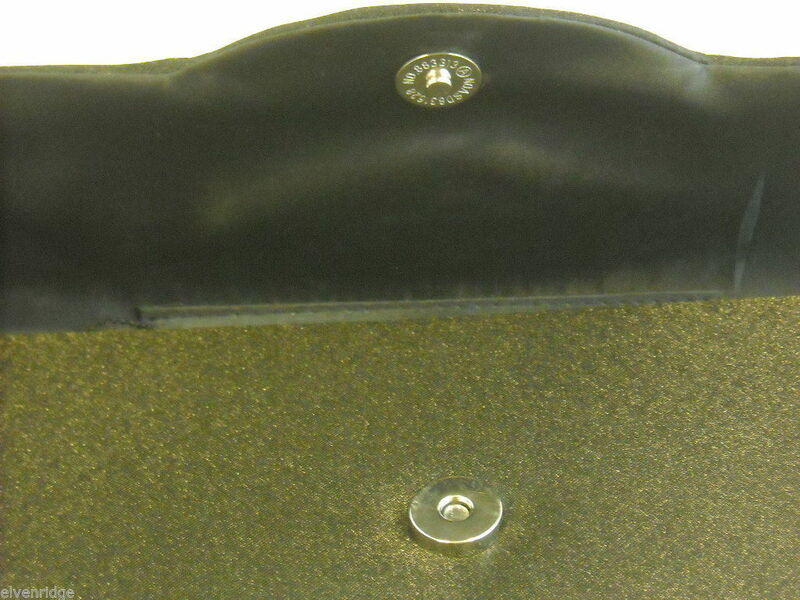 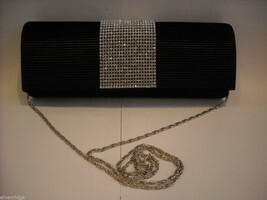 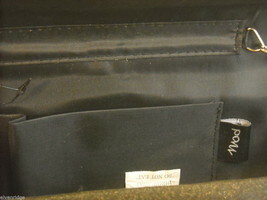 The purse has a magnetic closure and comes with an optional long silver shoulder strap. 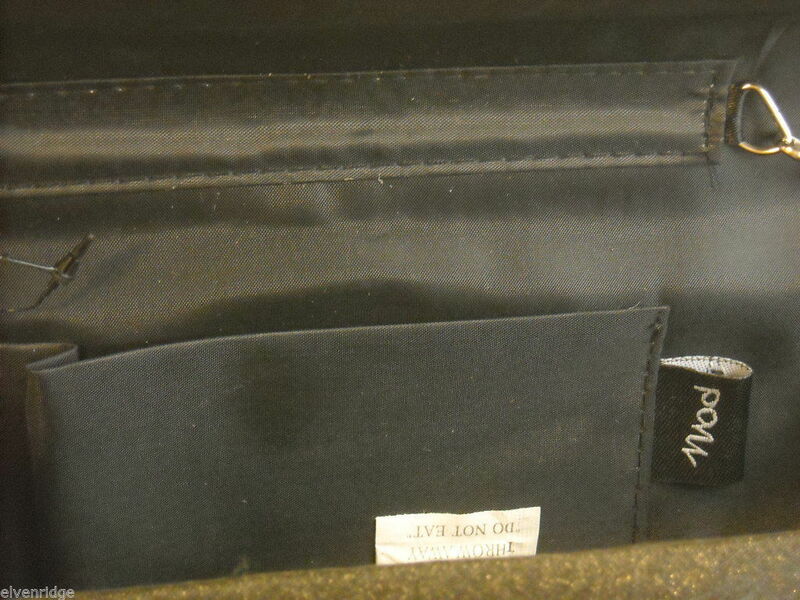 Label says Mod. Measures 4"(H) x 9 3/4"(L) x 1 3/4"(W).